Or, maybe it's the most-unwanted list as one police department turns to humor to deal with back-to-back-to-back storms. MERRIMACK, N.H. – Police in snow-swamped New Hampshire are hunting for Public Enemy No. 1: The suspect is described as short and furry with brown eyes and big, pointy teeth. 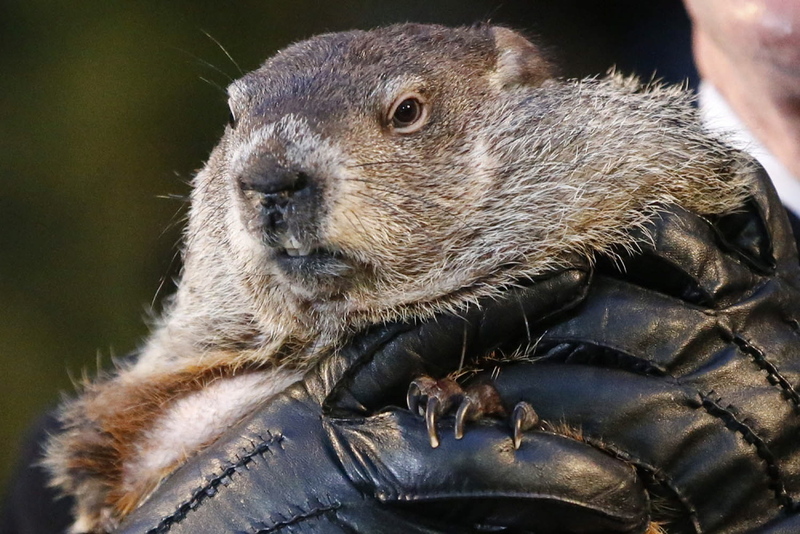 Looking to lighten the mood after a series of snowstorms, Merrimack police posted a gag on their Facebook page asking the public to rat out Punxsutawney Phil, the Pennsylvania groundhog who last week predicted six more weeks of winter. Police Chief Mark Doyle said the idea came during a conversation with Lt. Denise Roy as they shook their heads over the three major storms that have thumped New England since Jan. 27. Doyle has heard from good citizens that Phil may be in Canada with Sasquatch. Others say the critter was spotted in New Orleans with a fistful – pawful? – of Mardi Gras beads. “Life in the hole without parole,” he said.